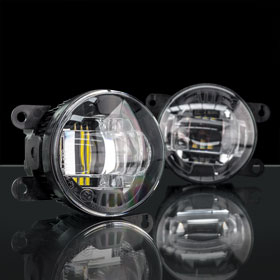 STEDI's new Type A Universal LED Fog Light is designed to replace your factory fog lights to a brighter beam with better fog penetration for much more visibility. If you're looking for an OEM like LED upgrade, look no further down our Type A fog light which has mounting brackets to suit a wide range of factory fog lamp housing. 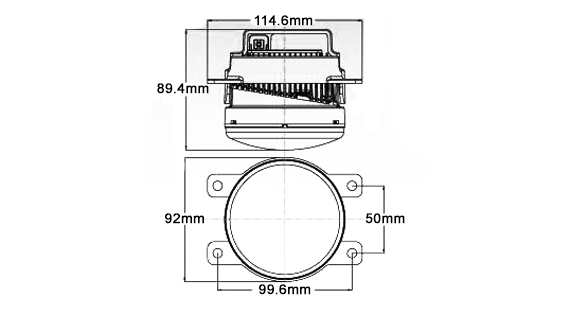 The projector lens optic distributes a very flat and extremely wide pattern which is DOT and ECE standard compliant for road use. Once installed we recommend that the beam is adjusted to ensure that it cuts off no higher than 50cm from the ground, with the car 25m away from a wall. Please check below for a full list of compatible vehicles.